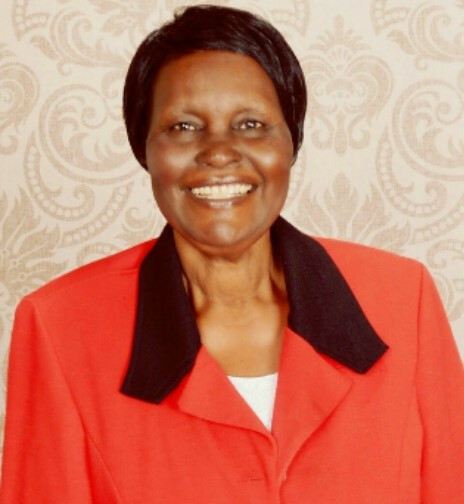 It is with deep-felt loss and sorrow that the Amayo family announces the death of Mrs. Peninah Linet Amayo, wife of the late Micah Odongo Amayo. Daughter of the late Samuel Owuor Onditi and Mama Grace Owuor of Kwoyo Kochia. Daughter-in-law of the late Pastor Luka Amayo and Mama Esther Akoth of Kayoo-Kakdhimu, Karachuonyo. Mother of Beatrice Amayo (Rembo), Tom Odongo, Nellie Amayo Okuthe, William Amayo, Jemimah Amayo, Moses Odongo, Emily Amayo and Beryl Amayo. Foster Children Beatrice Onditi, Ronny Owuor, Vivian Awuor, Evans Okello, Beryl Lumumba, Hezron Okoth and Esther Loit. Grandmother of Michael, Esther, Noel, Micah, Brendan, Abby, Akili, Daniella, Ashley, Jayden, Maya, Ethan, Ruby and Tabia. Sister of Prisca Mbaka, Hellen Oloo, late Joseph Owuor, Dursila Ongonge, the late Tabitha Owuor and Margaret Munga. Sister-in-law of the late Hon. David Okiki Amayo, late Odera K’Amayo, Prof. Gershon Amayo, Samson Amayo, Amb. Lazarus Amayo, Damaris Amayo, late Dr. Julia Amayo, Herine Odera, Dinah Amayo, Keziah Amayo, Nelly Amayo, the late Elizabeth Omulo, the late Anna Achieng, Maritha Onyango, Nereah Nyauke, the late Teresa Odhiambo and the late Rosebella Okinyo. Mother-in-law of Maureen Dwallo, Dr. Jacktone Odhiambo Okuthe, Christine Abuko, Dr. Simon Obwatho, Winrose Omondi and Haig Aseda. There will be a fundraising on Monday 23rd April 2018 at the Simba Hall (LMS) Nairobi Central SDA Church (Maxwell) as from 5pm (Safaricom Paybill No. 528904). Funeral Service shall take place at Lavington SDA Church, Vanga Road on Wednesday 25th April 2018 starting at 12 noon. There will be viewing in Kisumu on 26th April 2018 at Aga Khan Hall starting 9.30am. The burial will be held at her home in Kayoo Village, Kakdhimu Karachuonyo on Friday 27th April, 2018 starting 9.30am.